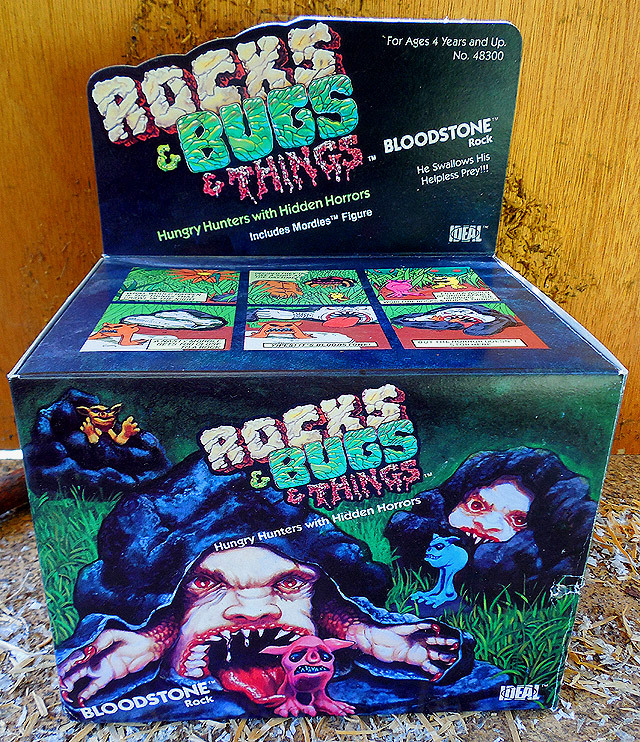 Rocks & Bugs & Things! | Dinosaur Dracula! This much should be obvious just by looking at the box. No, your eyes aren’t playing tricks on you. No, there isn’t a softer explanation for what you’re seeing. 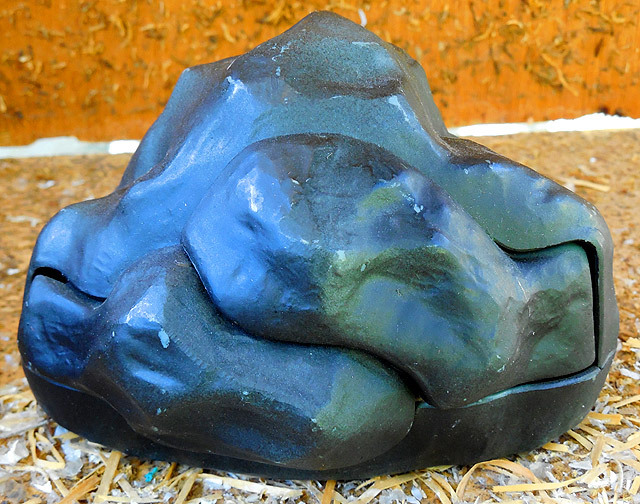 That really is a fleshy monster, disguised as a rock, preparing to eat a little goblin. THAT’S WHAT’S IN THE BOX. The line consisted of ten monstrous rocks and bugs. The rocks worked like simple Transformers, with terrible creatures masquerading as benign boulders. 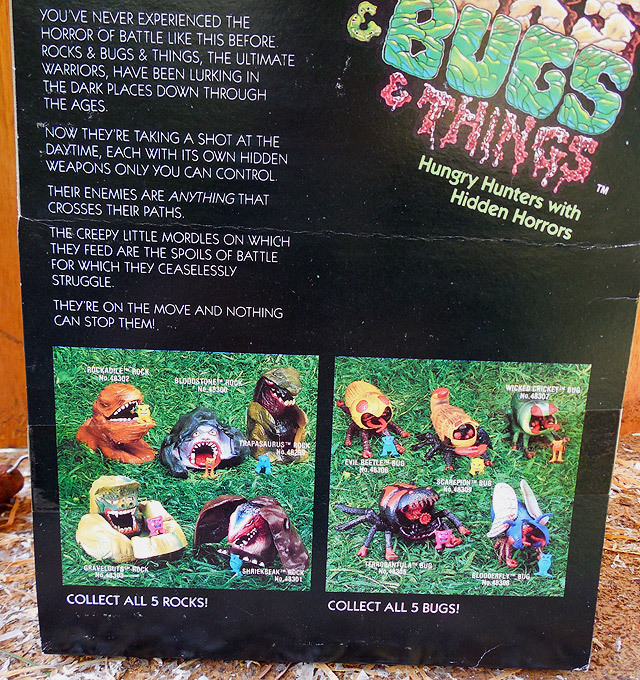 The bugs were only a little less interesting, with extra heads and appendages hidden in their mouths. 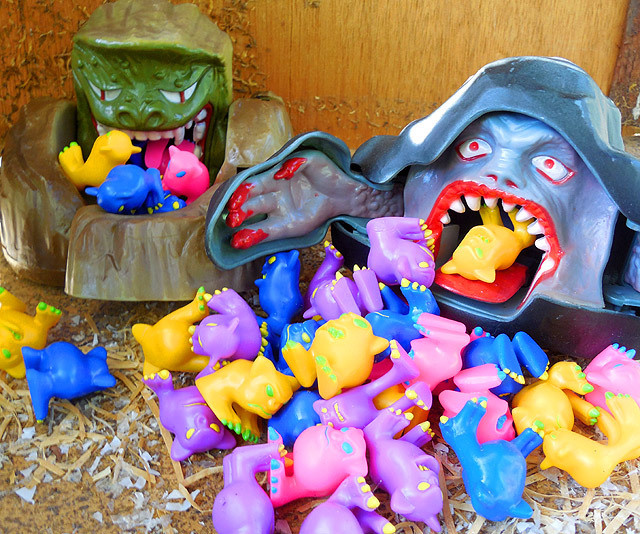 The creatures were positioned as bloodthirsty warriors, who fought endlessly over the “Mordles” – those being the little goblins seen on the box. 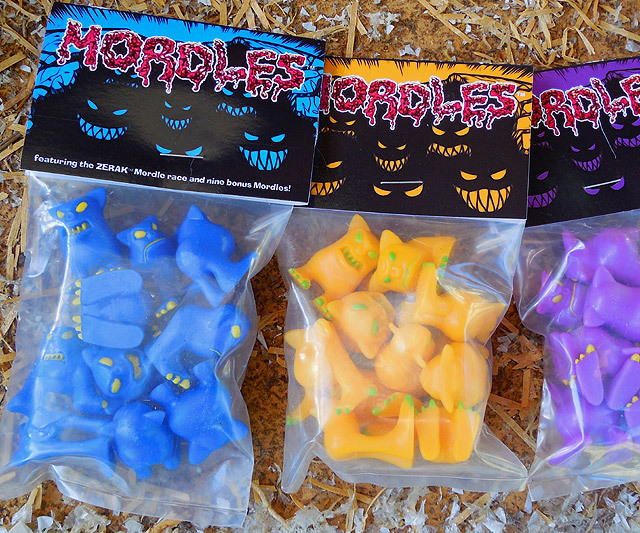 Each figure came with one Mordle figure, and they were intended to be FOOD for the rocks and bugs! 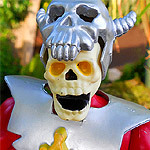 I seriously could not name another toy line so bizarre in concept and execution. 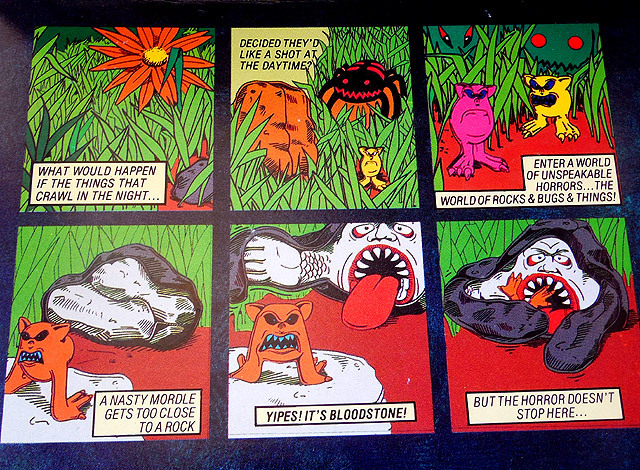 Monster rocks fighting mutant bugs over neon-colored edible imps? GLORIOUS. Shown above is Bloodstone, easily the best figure in the set. Bloodstone is so reminiscent of Belial from Basket Case that I doubt it was a coincidence. He’s a great big human head trapped in a rocky shell, and the fact that eating smaller monsters is his ONE AND ONLY PURPOSE makes him my favorite thing in the entire universe. 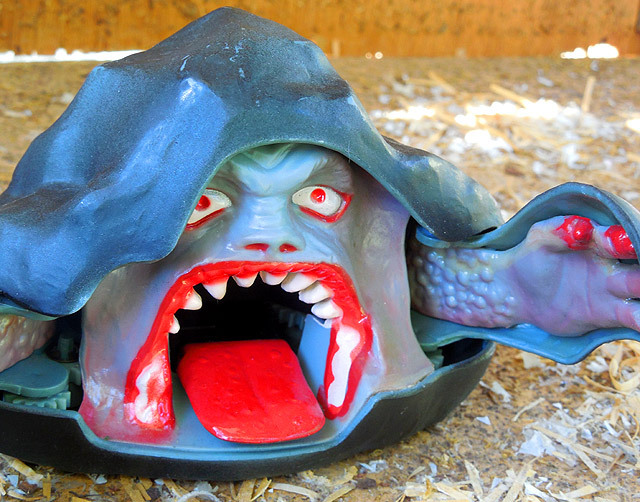 The other figures were good, but Bloodstone was downright nightmarish. How was this a kid’s toy?! I guess I shouldn’t be surprised that I never collected Rocks & Bugs & Things back then. As appealing as it all seems now, the five-year-old me would’ve cried at the thought of this. 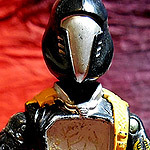 John’s doing similar things with other lost toy lines, including Manglors and Robo-Force. What sets him apart from so many others is that the toys he puts out are the really real-deals. He doesn’t have to worry about getting sued: He holds the licenses. Another “entrepreneur” might have to stop short of making things that too closely resemble these old toys, but John doesn’t. 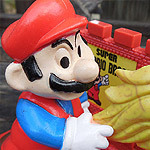 Keep an eye on ToyFinity, or follow John on Twitter. He is doing tremendous work and will supply endless reasons for you to set fire to money. As for the Mordles, I plan to marry them. They come in many different colors and styles, and I don’t think you need to be familiar with Rocks & Bugs & Things to appreciate bagfuls of neon demons. I like to think of them as good luck charms. Mostly for the excuse to always carry one on my person. As if Bloodstone wasn’t awesome enough on his own, now I can enjoy him as he was meant to be enjoyed: With poor Mordles trying to escape his giant mouth. I’m utterly enamored, here. 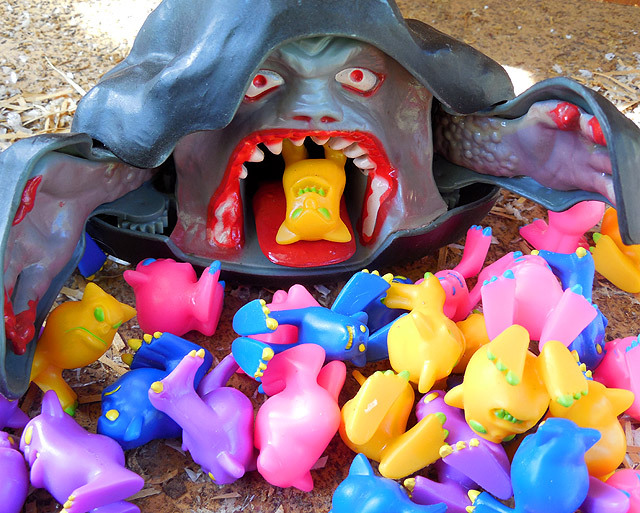 A ghastly rock monster with human features, gobbling up a rainbow of alien frogs? How the hell am I supposed to respond to this? Thank God for Winspiration’s list of positive words. Careful, Bloodstone. Gravelguts is after your stash. 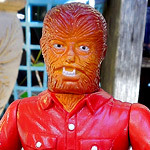 Five Random ’80s Action Figures. 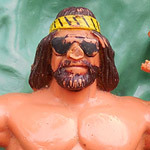 Five Random Action Figures, Part 4! Realm of the Underworld Figures!